We tend to be a very busy society! As I have said before, computers, jobs, smart phones, family, sports and many other things take time away from our dogs and our pets. 20 years ago people spent much more time at home. Also, 20 years ago more people chose to have families. Today, I think more and more couples are opting out of two legged children and opting into four legged children. Let me first say, I think this is fine and a personal choice; heck I am in this very demographic. I have three furry children and no, well… less furry children. The problem arises when people truly treat their dogs like children. Or worse (which I think is more common) people treat them like little royal, angels. 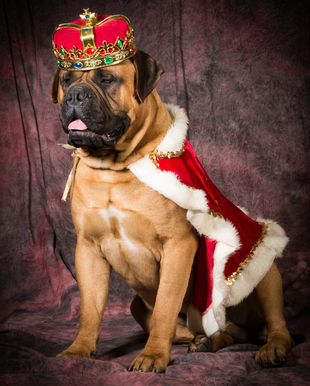 I say “royal” because often dogs are paid homage to and given everything they desire. I say “angels” because many people are of the belief that dogs or animals can do no wrong. I disagree with most of these things. Actually I wish people treated their dogs like real children (the ones with rules and boundaries, not the out of control ones). Because good parents give their children love AND structure. Let’s face it, sending your child out into the world at 18 having never had any boundaries or rules, never going to school and having been given everything they desire probably isn’t going to work out well for them if you expect them to ever have normal lives. Children have to go to school and learn to exist, they grow, they test boundaries, they learn about structure, when they are old enough they learn to be left alone and how to manage themselves and they must learn to have normal relationships which essentially teaches them how to become independent. The success of a parent is often measured by the success and independence of their children. We all want better things for our children than what we had, and we want them to be successful adults. I laugh (mostly to myself) when people complain about others treating dogs as children because I think that would be a great thing. Teaching, rules, boundaries, normal loving relationships and independence. What they really mean is that people treat dogs like royalty or some kind of angelic thing that must be worshipped at all times. People who don’t have children of their own, often have more spare time. This is not true of everyone of course. Some people are married or committed to their jobs, etc. But as a trainer I see a lot of young people who don’t want children, or don’t want children NOW but get a dog to fill a void. And, therefore they spend an excessive amount of time with their dogs, and most of it is not spent working on training and rules. Dogs are in laps, watching TV or hanging out while their owners surf the net and they are spoiled and given anything and everything they want with no real rules or boundaries. 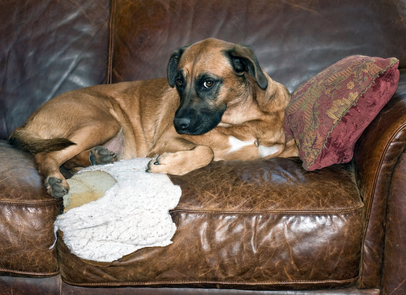 Parents, whose children have moved away, often feel a little empty so they adopt a dog. Often times, these were good parents; really good parents! And, their children relate to me how they would have NEVER gotten away with the things that the dog gets away with on a regular basis! For some reason these sweet people think that their children needed boundaries and rules, but their dog just needs more love. I want to again say, that most of these people are kind hearted people; who certainly aren’t trying to create issues. 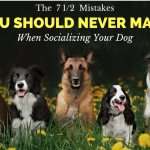 Sure, sure there are people who pay no attention to their dogs at all and that also can create negative behavior and separation anxiety but most often it is people who over bond and over love them that create problems. By giving your children, or your dog EVERYTHING for NOTHING you are creating a monster. And, unfortunately life is harsh. Children with no boundaries and no independence regularly wind up addicted to drugs and inadvertently kill themselves. Dogs with no boundaries who can’t function independently and suffer from severe separation anxiety also frequently inadvertently kill themselves or wind up in shelters where they are killed because their owners can no longer handle their behaviors and no one else wants to adopt a neurotic, sometimes aggressive dog. Yes, children without boundaries can also end up having aggression issues! I once worked for a Service Dog organization and we had placed a dog with an older gentleman and she had been his Service Dog for several years. He needed to go to the hospital for surgery one day and his wife and family decided to leave the dog outside on a tether for a few hours until they returned home. Unfortunately the dog was not used to being alone, and once left she panicked and hung herself. It was even more devastating because the man lost his best friend and his helping hand, after all most Service Dogs give up that need for independence because they spend their life attending to their person. First and foremost is to take this article and this problem seriously and don’t let it develop; remember the Service Dog. The majority of dogs aren’t Service Dogs and don’t need to spend every waking moment being someone’s eyes, ears, or hands. Dogs need to learn independence (I think even Service Dogs) and if we don’t give them structure (through training and exercise) and if we never leave them; we are creating neediness, neurosis, and phobias that would not otherwise exist. Although you may WANT to spend every waking moment cuddling your dog and spooning in bed watching movies… this isn’t good for either of you! Psychology Today defines addiction as a condition that results when a person ingests a substance or engages in an activity that can be pleasurable but the continued use/act of which becomes compulsive and interferes with ordinary life, responsibilities, and work. Certainly you want your dog to love you, but it crosses a line when he thinks he can’t survive without you. You don’t want your dog to become the addict and you to be the drug, or vice versa. 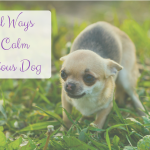 Most people can rationalize that they can live without their dog for a few hours or even days (although I have seen people with separation anxiety from their pets), but dogs don’t have that mental capacity. If they are never left alone and independence is never fostered, they don’t know how to deal with suddenly being left or being expected to be independent. What happens if there is a death in the human family, someone is hospitalized and the dog cannot come? The last thing these owners want is to come home to a dog who has broken windows or eaten through doors or walls or hurt or killed himself. 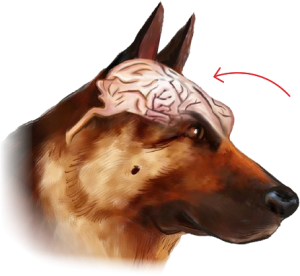 Training teaches your dog and conditions your dog to think. Training also builds confidence, and confident dogs suffer from anxiety much less (think confident people). Training is also mental stimulation and mental stimulation can be exhausting (more on this in a minute). 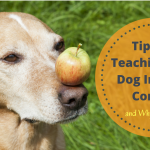 Just like school, and boundaries teach children about life and independence; dog training and rules teach dogs about independence. If my dog show signs of anxiety and/or panic while I am home; I would work on obedience and overcoming issues; not cuddling or coddling (which doesn’t help dogs at all). The much dreaded “E” word! Exercise is crucial to most behavior modification programs. A physically or mentally (ideally both) stimulated dog is a happy, tired, and usually confident dog. I pair mental AND physical stimulation by asking for obedience with exercise. Want to chase a ball and retrieve? Then you have to sit, down, heel, give me eye contact and focus etc. for however long I determine you are capable BEFORE I throw your ball. 20 minutes of retrieve and training and my dog is totally smoked! Even swimming is great for having an exhausted dog and can be great on a hot day or even for older or young dogs who aren’t as safely agile. I take my dogs for an hour of dock diving and they will sleep for hours! I am visiting a friend for a week and I have 3 dogs. And, not all of my dogs are good or safe with their dogs or their children, which means they have to spend some time in crates. They get to be out with me while the kids are at school and they do dog shifts, so they aren’t living in their crates! So I took my boys to the pool yesterday and paid for an hour and a half of dock practice and swim time. I got home at 6 and basically didn’t hear a peep (of course I fed them and let them out to pee a few times) from them until the next morning. It was a great way of making sure everyone is happy. Teaching your dog HOW to be alone is also crucial. A child that was never taken to school, never left alone, would also have a panic attack if he/she was left with no information or knowledge of what would happen. Being alone and being independent needs to be taught to people as well. I am also a dog trainer. I travel around the country competing and going to seminars and training. I spend A LOT of time with my dogs. I mean probably an extreme amount. But I also teach them how to be alone. Even if I am not going out of the house for the day for work or errands, we still work on crate training and alone time. I crate them knowing it is a true skill they need. When I train with one, I crate the others. When I compete with one, the others must be crated. The truth is, it isn’t realistic that you will NEVER have to crate or leave your dogs. Even my dogs that I can leave loose in the house without worrying about accidents or chewing are still crated. I may need it some day. The perfect example is staying here with friends, I need crates! In order to spend time with family and friends and to stay in certain motels my dogs need to be crate trained. I find it a disservice of the dog world for people who don’t ever crate. 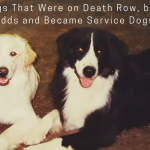 Having worked at a vet, we knew the dogs who were comfortable in crates and those who had never been crated. And, when a dog goes to the vet sick, or for surgery or anesthesia they must be crated or caged. It is sad to watch dogs panic and try and injure themselves. 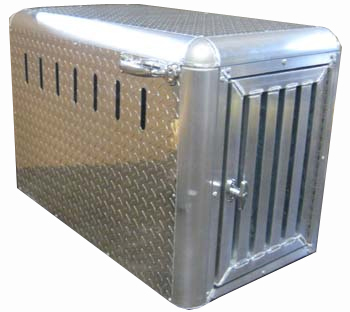 And for those dogs who chew or pop out of crates… they make aluminum crates that are nearly impossible to break out of or hurt themselves inside. Often these crates are used for police K9s and can be expensive. 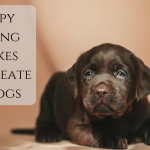 However, it is cheaper to buy an extravagant crate than it is to replace the carpet or walls in your home, or even one vet visit for stitches! Alone time and independence, like anything else is something that needs to be worked on and trained. Got a crate squawker click here. And to find out why some dogs get aggressive when left at home click here. 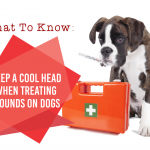 If your dog is hurting himself it is time to get help from your vet and read this to understand more. 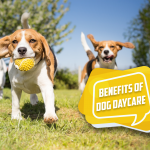 Your vet can prescribe medication that can make your dog more comfortable when you leave and while you work on behavior modification. Imagine having PTSD from war and having visions and panic attacks, insomnia; you would probably want medication to help as you worked with a doctor, psychiatrist, or other homeopathic doctor while you worked on your own behavior changes and modifications; right? A dog that truly suffers from separation anxiety will benefit from medication AND behavior modification just like people. And, both are critical. 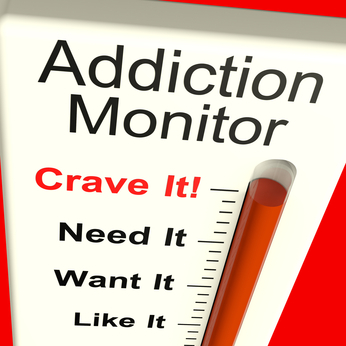 Only medication will create the “addict” and will not address the behavior or the problem. Avoiding medication, sometimes, like the above example is sometimes horrifying and traumatizing and also will not work. Medication and behavior modification take time but go hand in hand. And, until you can conquer the problem; I would look into finding a good doggy daycare that will keep your dog from hurting himself, screaming, barking all day or chewing and allow you time to work on problems in a fashion that is conducive to overcoming the problem and not making it worse. Remember to treat your dog like you would your children! Trust me, you will thank me for it one day! Do You Want Help With Separation Anxiety? We are retired.Have not had a dog in 30 yrs.we now have a puppy.Australian shepherd full bred.He is 8wks.old.We are in training. Biting and jumping on people are our main issues.Bu!DDy is very smart.Goes to the door sometimes .We supervise and try to have patience.It is difficult being senio r s.Not as fast as we use to be.We say no when he bites and jumps up.and point down with a finger. SHOULD WE DO MORE? MAYBE SOMETHING DIFFERENT. He needs lots and lots of exercise and training. Remember a tired puppy is a good puppy. And, I would keep the puppy on a leash in the house until the jumping goes away and also to teach house manners and potty training. He needs more obedience. Our Companion Dog program will start soon. I would get into that! email Dana at info@thedogtrainingsecret.com and I think you will enjoy the videos and one on one instruction. I read the article all the way through twice, and finally got the answer I need for my current problem. To train one CRATE the other, so now I have the fun of crate training. Thank you… I have one 10 year old australian shepherd. My other one died last November. 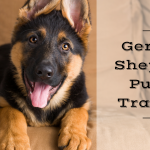 I am waiting for a miniature australian shepherd puppy in late summer….Your article is very helpful; a reminder of what I need toi do from the beginning. I am particularly concerned about nipping and front door behavior. Wearing a leash may be the answer. Nipping is fairly normal. But exhausted puppies don’t have the energy to bite or nip 😉 so provide lots of exercise and training. 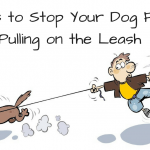 and I ALWAYS wear a leash, until the dog earns the ability to run my home! Excellent article. Looks as though I did all the right things and just recently decided to leash my Sasha when someone comes to visit. You are correct, she soon settles down and no jumping. Then I remove leash. btw I hold on to the leach until she settles down. Luv reading your articles. I have 18 week old pug I am trying to crate train. She will poop in her crate during the night. I put her out for 15 minutes before bed time. Her last feeding is 5 p.m. I am not sure what to do. I would put her crate next to your bed so that you hear her when she gets up. And, I would add some high intensity play prior to bedtime. I have a very anxious 2yr old poodle. He is very fearful of riding in a car. I have tried to outlast his whines batks and howls but after 20 or 30 minutes I cave in and let him out. I know that is the worst thing. That being said I did call the vet for advice and was told to try benadryl to no avail. I have a new car and am going VERY slow with the intro to it. Letting him in it without going anywhere etc. I think he will be better going this route but I am wondering about medication in general. He is so fearful. Talk to your vet again. People often try what the vet prescribes but then never follow up. And, vets prescribe a low dose first, in hopes that it will work. Explain the situation better and see if they recommend a stronger dose or another drug. I begin by feeding my dogs in a car that is not moving at all first and then slowly work my way up. I received an error message and was unable to attend your webinar last night-very sorry,very sad, was all ready. Thanks for this article. Would you please offer suggestions on how to foster independence? Fostering independence are all things done without you. So kongs filled with peanut butter in their crate when you leave. Chewy bones outside when you are inside. Hiding his toys or treats for him to find either inside or outside when you aren’t there (you may need to start this game with you around first, then let him play while you are gone). Anything that encourages fun when you aren’t there fosters independence. Being a Man of few words ! This is a great article, thank you ! I have a Rottie who is the sweetest dog ever. However, he also happens to be a big chicken. He’s very smart, very attentive (obedience trained too), but he’s reluctant to do things he thinks might be coercive toward him. He’s fine riding in the car (always in his crate), but is suspicious if I take him outside to go to the bathroom first then head straight to the car. Nope, not gonna do it 🙂 So for a long time now, after the potty break, I bring him back in the house, snap on his leash and walk him out to the car. He hops right in w/o me even telling him to! Structure, routine, trust and leadership on my part alleviate his fear. … I think it’s a great idea on your part to practice getting in/out of the car w/o going anywhere; and get a treat while he’s in the car. (btw: has he gotten sick riding in the car. Maybe a Pepcid AC or Zantac will help settle his stomach if he gets motion sickness. Our vet recommends this before surgeries, so it’s safe to give a dog). I was told by the breeder of my pup to try ginger snaps for car sickness. Haven’t tried it yet so I don’t know whether or not it will work. I forgot to say that our Liam is deaf, what makes it harder. My dog used to cry and howl too on each and every journey. One day I downloaded/bought just one song called Relax my dog – music to calm anxious dogs (pic of a dog with a blind fold on) and he started relaxing a little and a little more each time. He still doesn’t love drives but he is a thousand times better than before plus now he is so used to it I don’t need to play the song anymore I think i just played it say 15 times and by then he really improved. In response to Fran whose breeder recommended ginger snaps for car sickness. Ginger ale works for me when I have an upset stomach (e.g., car sickness). Makes sense to me that ginger would work as well for dogs. Thankfully, my 2 boys enjoy riding in the car. My LaHasa Apso is so strong willed. Treats don’t always work with her. She is five years old and I still have trouble with her chasing cars. I live in the country. She usually runs them while in my yard, then goes out on the road behind them. Do I need to leash her? I can never catch her. She just won’t listen to me. I am just at my wits end. Thanks for the post! I have a (currently foster–possibly I will adopt) dog–TC–(Boston Terrier) who has been abandonded multiple times. He is understandably very clingy at the moment but is getting better (I’ve had hime almost exactly a week now). At first he didn’t want to let me out of his sight. At home I’ve let him follow me from room to room–now he often doesn’t choose to follow me unless I’m “gone” for several minutes. When I leave the house (and I started with just a few minutes at a time) I let him know “I’ll be back” and give him a treat (I have another dog who knows the ropes and I’m sure that helps). I’ve left for up to 1.5 hours now and TC is very happy when I return but–in the interim–he has not been destructive to himself of objects so I think he is settiling down and not going “psycho”. Interstingly–my other dog (now the “stable companion”) also a rescue, once suffered from separation anxiety as well–we worked through it and, though she would still much rather go with me, she at least doesn’t go bonkes when I have to leave her. My strategy is that I leave clear signals that “I can’t take you with me and I regret that but it can’t be help” along with a treat and I allow their profuse “welcome homes” without getting too effusive myself. Thank you for the very informative article. I am guilty as charged. I have spoiled two rescue dogs ( Shitzu around 10 years old and a lasso around 4). I office at home so they are used to being around me. They are no problems when i leave other than my neighbors tell me they bark at anyone that walks by the house ( they have access to the courtyard from a doggy door). I took them on vacation to a cabin in the mountains and they damaged the door when I left for a hike so I had to stay with them the remainder of the vacation. I took them again on a vacation to the beach and crated them when I was out. I could see that the lasso was probably biting the cage to get out and actually bent the wire on the cage. I would like to correct my behavior to help the dogs and be able to travel with them. Any suggestions ? As always your advice is right on My 10 month old bully/lab seems to understand every word you say to him. His training is coming along very nicely.This is the best training method ever. Thanks for all of the tips Doris. I have a three year old Lab that I sent to a trainer when he was 2 yrs old for training, including shooting a shotgun around him. No problem until the following 4th of July, when he started being afraid of loud noises (fireworks, shotguns, even shotguns that are fires a distance from him, even thunder. He is not much good as a hunting dog in this condition! I have a little Shih Tuz. Inherited him from granddaughter who got from someone else.. He is 6 years old.. Problem is – he chases everything and barks at everything.. Cannot keep him from chasing everything. Have put him back in his crate a few times when he got out of bounds. Barks at everything he ears outside. How can this be corrected. 3 years ago I adopted an American Eskimo mini from the shelter. She had been abandoned and picked up as a stray. She had not been socialized with people or other dogs. I think her first walk with me was her first in her life as she didn’t seem to know what we were doing. My vet and her dentist told me she was probably about 6 years old at the time of adoption. After all this time she still has no idea what toys are. I have purchased several kinds and she just does not know what they are. Is there a way to teach her about the fun of toys or is this something she just will not be able to learn? My last dog loved all of his toys and even had favorites. Suggestions would be appreciated. settle down to sleep in her dog home. I then leave for work secure that she will stay out of harms way and so will the people who visit my house while I am away at work. Do you think she will adjust to crate training if I try now that she is used to her ways ? She is 20 months old. My GS pup 11 weeks seems to have ADD. I can train her for a minute or so before she is distracted by something else. Is this normal? Also, the material I’m reading these days says no negative feedback, very different from when I trained my Akita 23 years ago. What should I be doing when she does something bad in the yard or house while I’m not looking? As she is not yet 3 months puppy parva is a serious issue in Venice and I cannot have her on the ground outside my or friends yards. But when I try to train her on a leash in the house or yard she just lays down and let’s me drag her. Help? Finally, Daisy has a friend Bullet that comes over for play dates and has some extremely bad habits, tipping over garbage. Is he teaching her. Puppies learn the naughtiest things from one another I would try and control that. Yes, 11 weeks is still very much a baby. Remember you are dealing with a baby and cut some slack. Just go back and reiterate and make it fun so the dog learns. Nope, we can’t coddle or feel sorry for them or we promote bad behavior. I am a volunteer puppy raiser/trainer for Canine Companions for Independence the organization that raises assistance dogs for the disabled. I have raised 7 puppies. We crate train our puppies from 8 weeks of age & it is suggested that the puppies for the entire time we have them which is 18 months, spend at least 4 hours a day (and all night) in the crate. They have ALL learned to LOVE the crate, even when they no longer need to be in it, as a Service Dog. They also learned “bed’ (lying on a mat) while I train one of the others. (4 months & the puppy can easily do this for 20-30 minutes). All of this is very good advice for preventing anxiety & promoting good manners!! I have a terrier hound mix rescue that is a little over 2 and a half years old. I have a large back yard that is fully fenced in. I have never had to worry about her getting out in the 2 years that I have owned her until about 3 weeks ago. My neighbors lite off fireworks one night and she jumped a 4 foot fence and ran away. About a week later there was thunder when she was outside and jumped the 4 foot fence again and ran away. Luckily very kind people saw her and returned her to me both times. Since both times she ran away because she was panicked I didn’t discipline her. Now she realizes that she can jump the fence and has recently started to jump it even when I am out there with her. I disciplined her last night when she jumped the fence and another time when she attempted it. Right now I can’t trust her to be outside unless she is on a long tether. Do you have any suggestions to curb her fence jumping? Other then spending a fortune on a new fence? I would use invisible fence, laid a few feet inside your fence boundary to teach her she can’t hop out anymore. My husband had two rescue dogs before we met, and they are very attached to him. They are perfectly fine outside during the day when my husband is gone and they never hurt themselves or anything like that. But when they realize he has come home (they hear the garage or the car) they are so happy they freak out, and one of them just makes the worst high pitched barking noises. It’s just constant, horrible barking until he pets or acknowledges them, and for a while after he’s home one of them particularly remains especially anxious and excited. We worked on training them to not bark at him when they’re inside, but they’re still really anxious when he comes home, and they definitely still bark at him when they’re outside. I think most of the time they don’t really notice when he leaves, and if they do they might sit by the door a little, but no barking. The main issue is when he comes home, and it has been like this for all of our marriage, and probably before. Is this a type of separation anxiety, and what can we do? No, they are just excited. I use a squirt bottle actually for my husband’s dog. He learns to be quiet until dad comes in and then he can get a tiny bit loud as he greets him. Can you help with door manners regarding barking when people come to the front door? I’m new to this site and am looking, so may well find the answer myself, but thought I’d ask! I have a Jack Russell who goes mad when someone comes to the door. I’ve tried using a water pistol as he hates getting wet and also a shaker bottle that makes a loud noise. He tends to just go upstairs and grumble and bark from there…. We have a minature and a toy poodle (14 and 9 years old) the toy is Un neutered and marks his territory everywhere, they both wee and, occasionally poo,when they are left alone. The Minature also gets very anxious if there are a lot of people in our house, ( we have a large family) he shakes climbs up onto akneeandsometimes just wees wherever he is, Is there anything we can do or are they too old?